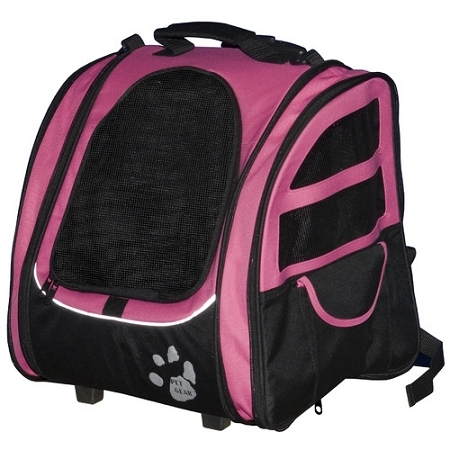 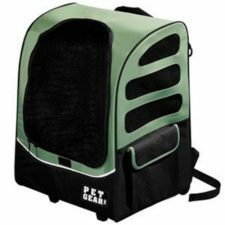 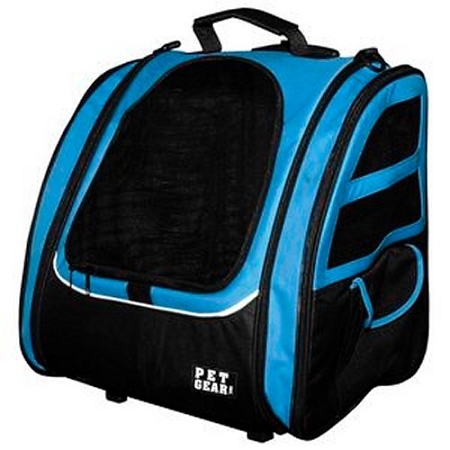 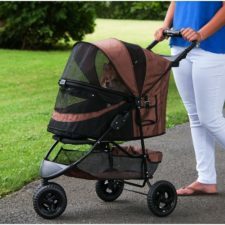 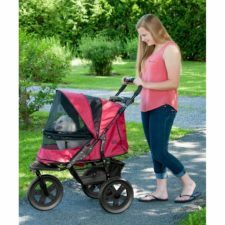 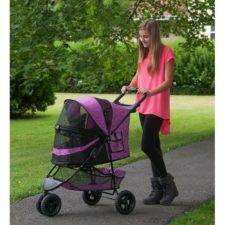 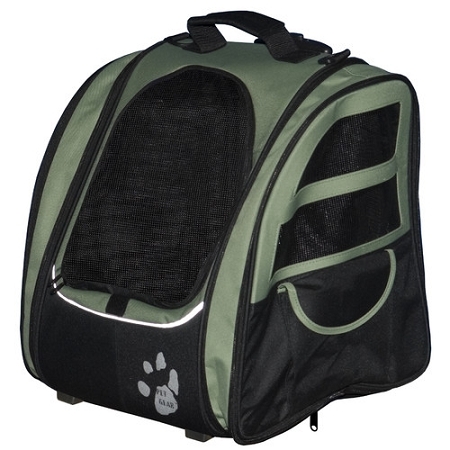 The five-in-one I-GO2 Traveler Pet Carrier from Pet Gear has a telescoping handle with wheels to function as a rolling case. It can be used as a backpack, tote, carrier, or car seat. 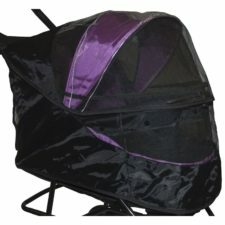 The Traveler offers the most room and a fashionable design. 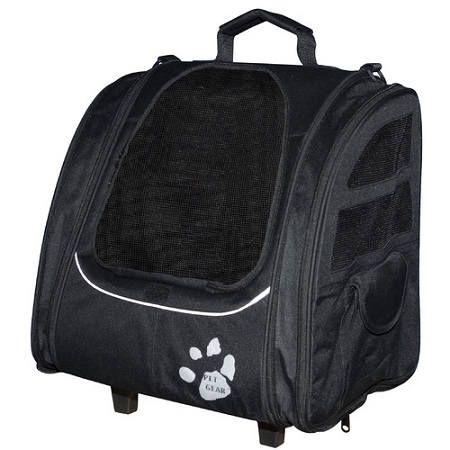 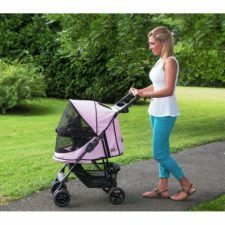 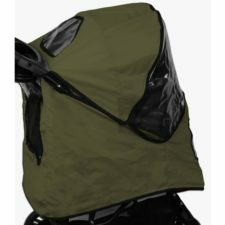 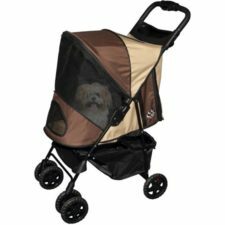 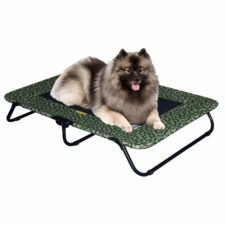 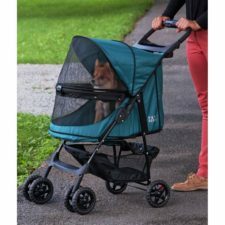 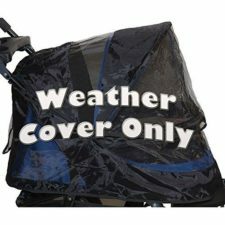 Comes with a removable pad for easy washing, two tethers to secure animal, and wheel cover. 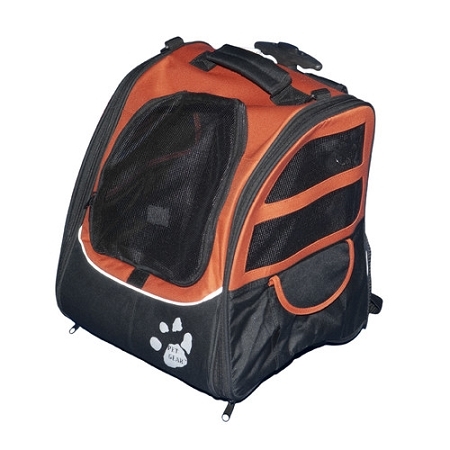 Unzip the sides to allow the carrier to expand 3″. 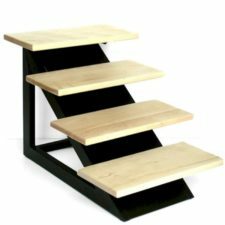 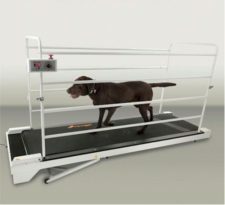 If the pet fits the dimensions of this product comfortably when the product is fully assembled, the product will support the weight of the pet. 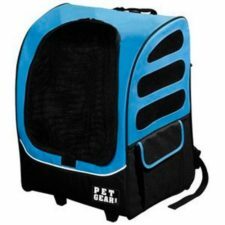 For small pets only. 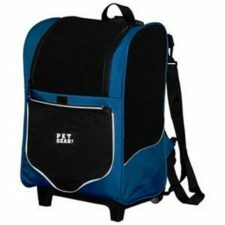 Read sizing dimensions of product carefully.